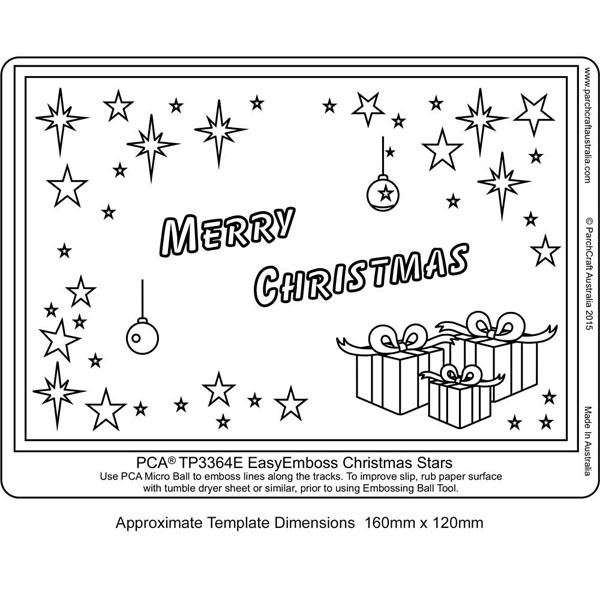 EasyEmboss Christmas Stars Template. 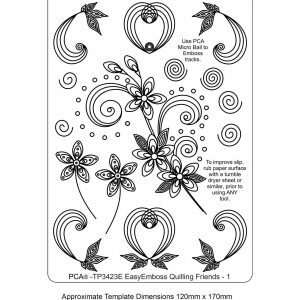 Simple collection of stars giving you a base to make that more detailed Christmas Card for that special person. Number 18 in our Christmas Collection. 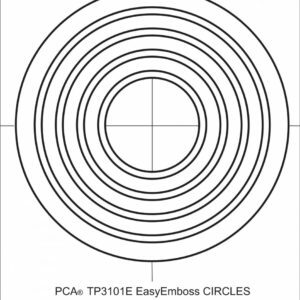 Use your PCA-E3012 Micro Ball tool to achieve that beautiful fine outline. Simply trace around the tracks to create your card. Perforate, decorate and colour to your own desire. As always we suggest that you rub the vellum with a piece of tumble dryer sheet or similar to improve slip when embossing. Very quick and easy to use. 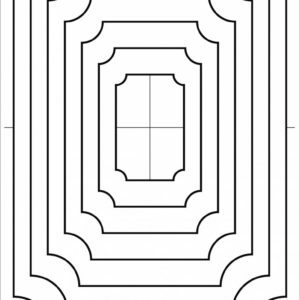 Place vellum on top of template.